This is a color shot of Block E and Hennepin Avenue. A parade just ended, so the street is empty. 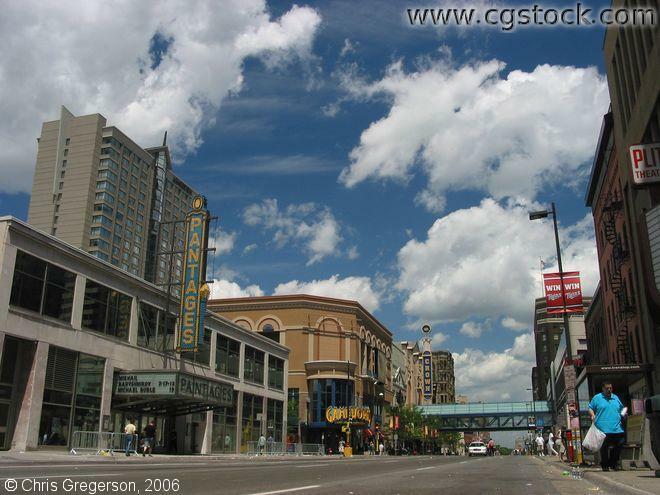 The Pantages Theater is on the left, and block E is one block down.